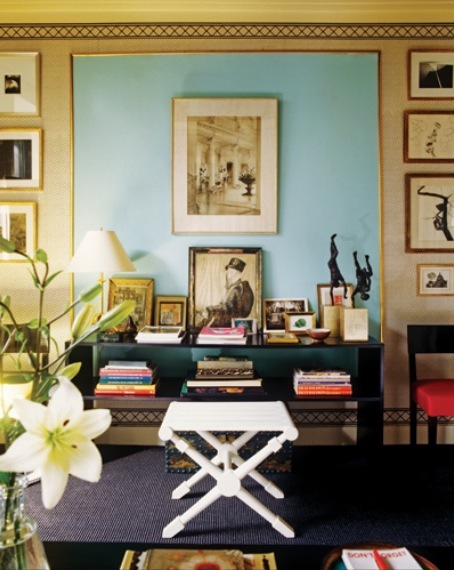 By now, we've all seen this iconic shot of Albert Hadley's sitting room in his New York apartment. 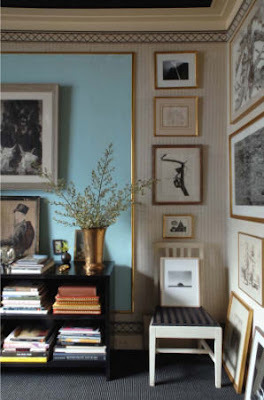 The blue color framed by the gilt frame is just gorgeous and easy to replicate. 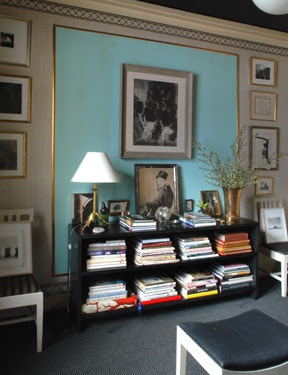 I was thinking about this image yesterday after looking at the blue walls in Steven Gambrel's room at Designer Visions. I was also wondering about the rest of the room. 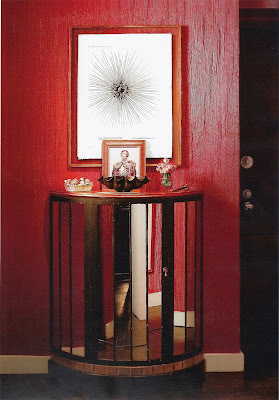 I like to see the whole picture and luckily, designer Thomas Jayne had posted a few more photos on a post for Interior Design magazine online. 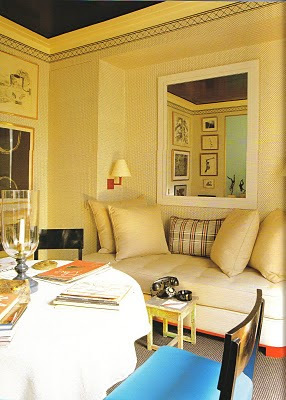 Mr. Jayne has just published a book The Finest Rooms in which he saves Mr. Hadley's sitting room for last. You can just see a peek but the ceiling appears to be black. I also love the trim along the crown and base moldings. 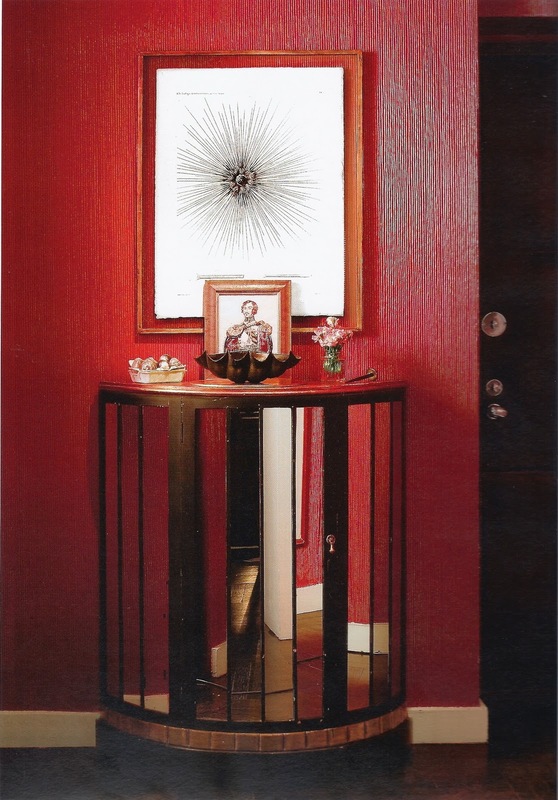 It's really the artwork that makes this room so spectacular. 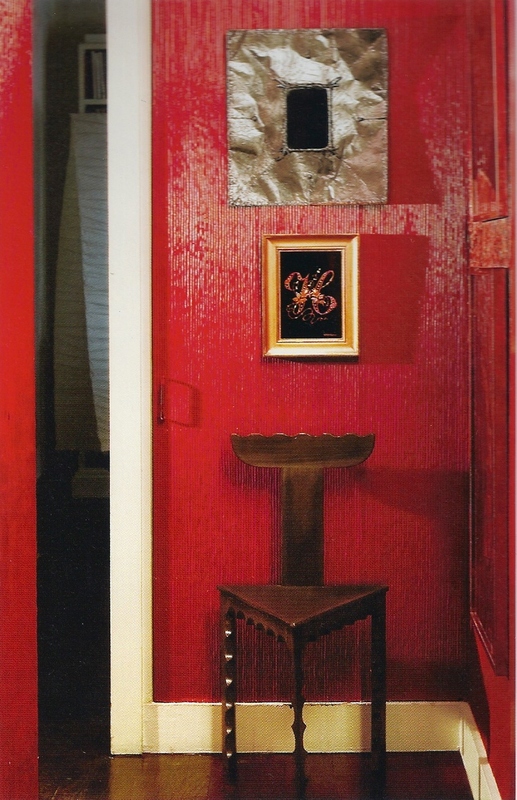 Albert Hadley is know for his touches of red. Here the scone and daybed frame are painted to match the telephone table and the hallway. In this old photo I found on The Peak of Chic, the room is set up with a table for reading or eating. The chairs are also black instead of white. 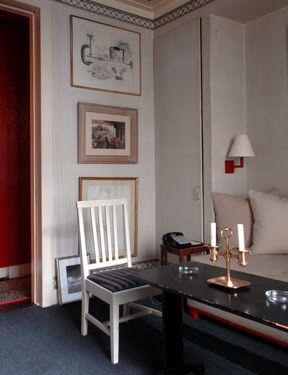 In another old photo of the room, this interesting chair sits by the window. 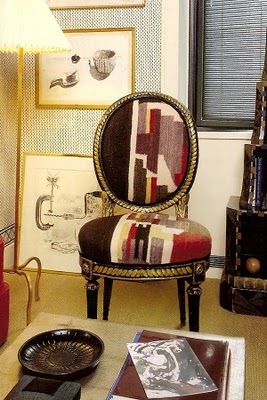 I love the upholstery and how the print picks up all the colors in the room. 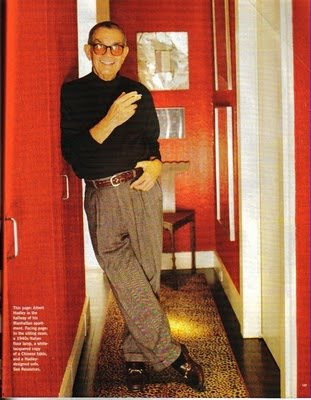 Mr. Hadley in his signature turtleneck stands in his red hallways with a leopard runner. I implore Thomas Jayne to photograph the rest of Mr. Hadley's apartment becaue I'm sure the entire space is just as fine as his sitting room!